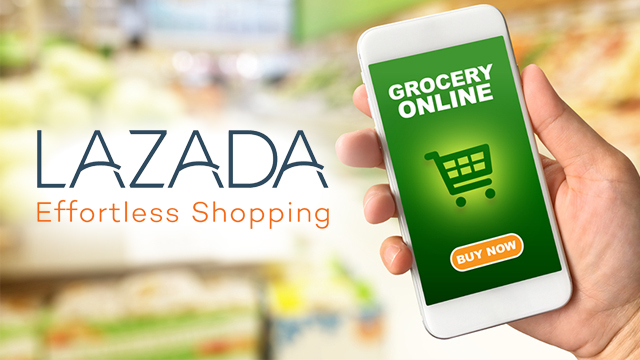 Lazada, the country's largest e-commerce platform, is launching an online grocery ordering and delivery service, one of its top executives said in a forum on Tuesday, March 6. Lazada Philippines CEO Inanc Balci made the announcement at the 10th Filipina Entrepreneurship Summit in Pasay City. Balci revealed Lazada’s plans to launch the grocery business when a member of the audience asked how she can sell salads online and ensure her goods' quality even during deliveries. Lazada is considered the top e-commerce site in the country with an average of 62.5 million views a month, according to a study by iPrice Group last year. The study listed 48 e-commerce websites in the Philippines that receive over 100,000 visitors per month and ranked them based on page views, social media followers and app downloads on Google Play. With its upcoming online grocery delivery business, Lazada is battling against homegrown and regional startups that have forayed into the space since 2016. Local on-demand grocery delivery service MetroMart launched in February 2016. By the end of that year, it had registered 90,000 users, 60 percent of which are repeat customers. By 2017, two more similar startups, homegrown brand Pushkart.ph and Singapore-based delivery service Honestbee, set up shop in the country. Lazada’s announcement comes amid the expected expansion of online retail giant Amazon in the region, which launched its fast delivery service Prime Now in Singapore in 2017. With Prime Now, Singaporeans can have most of the items in Amazon, including fresh goods, delivered to their doorstep in two hours.